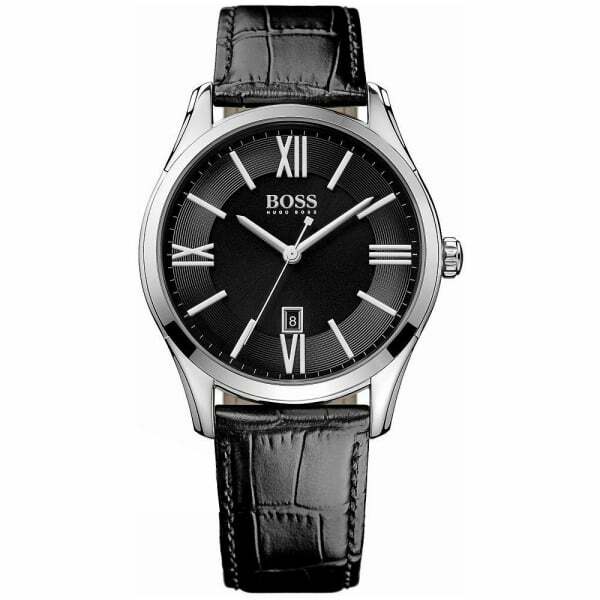 From Hugo Boss the men’s Ambassador Watch 1513022 is available to buy at Hillier Jewellers. Featuring a silver stainless steel case and black leather strap with black dial along with date window. The Hugo Boss Watch 1513022 is from the popular Hugo Boss Ambassador Watch collection and comes with two-year warranty and Hugo Boss Watch gift box.